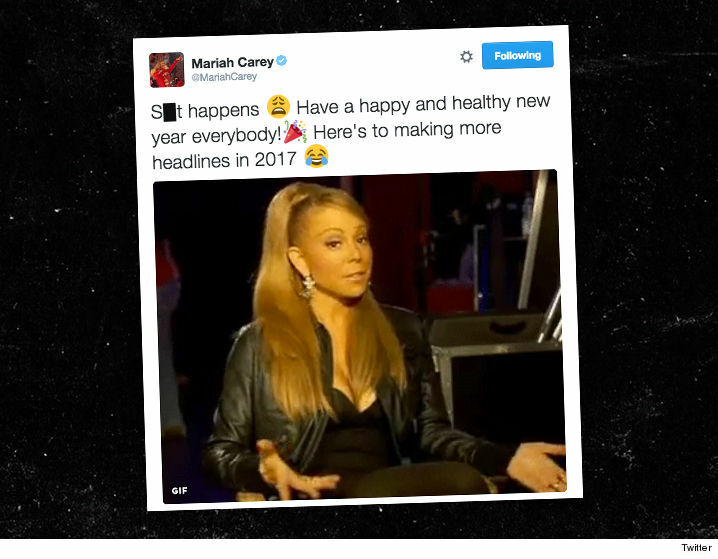 Mariah Carey ﻿was overcome by emotions during her NYE performance in Times Square. Mariah began singing "Auld Lang Syne" when suddenly the track for "Emotions" started playing. Mariah tried to pivot into her big hit, but she wasn't prepared to sing it ... it seems it wasn't on the playlist. Although the story's being told that "Emotions" started playing in the middle of "Auld Lang Syne," if you listen closely it seems like the she may have actually finished singing the NYE staple. BTW ... the track gives a peek in to the actual performance of "Emotions." Mariah sings, but at high pitched moments her voice takes over the track. Her reps cite technical difficulties, but Mariah addressed the stage fumble herself afterward like the diva she is ... "S*** happens." Well said.